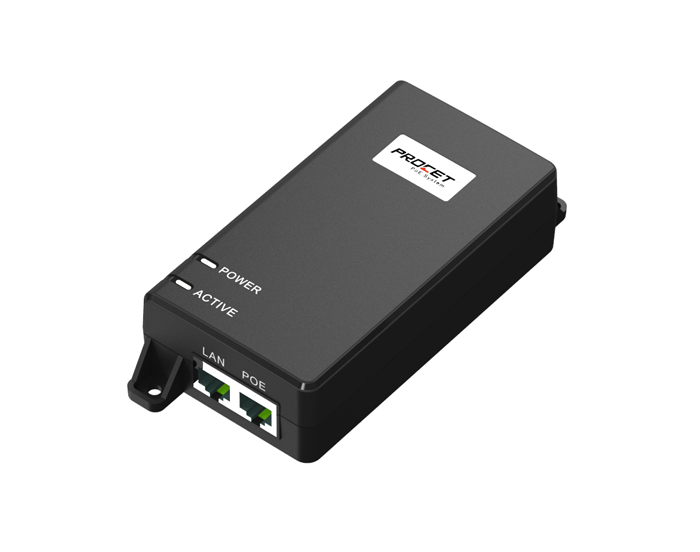 PROCET PT-PSE104GB-60-5 PoE injector/Midspan is designed for use of 2.5GbE, 5GbE PoE devices, with input voltage 100-240Vac, 1.5A, output 60W guarantee. 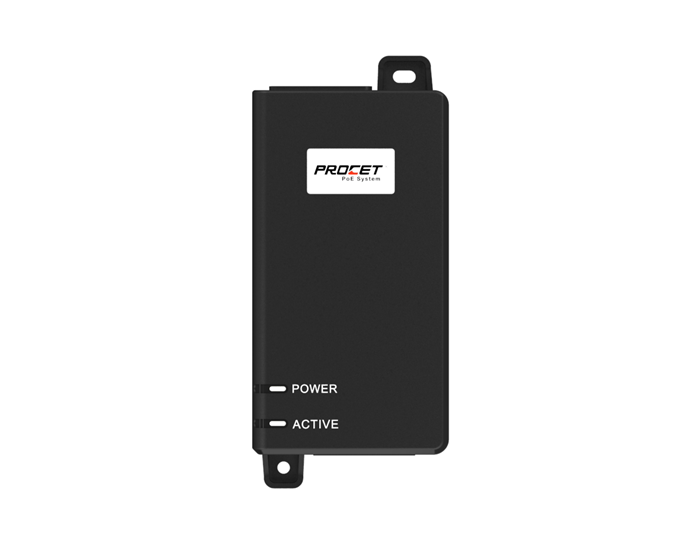 PT-PSE104GB-60-5 has detection protection chip inside, automatic detecting before power up the PD and protection of non-standard devices. PT-PSE104GB-60-5 has got UL, CE, FCC certificate. 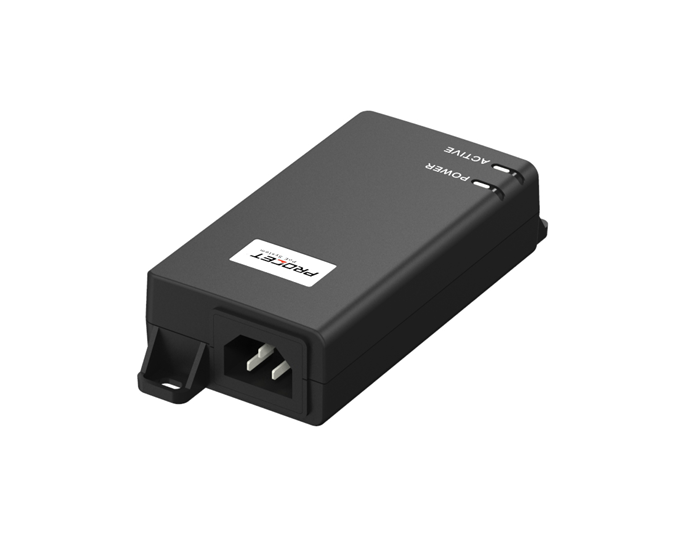 PT-PSE104GB-60-5 is a single port PoE Injector. It provides 55Vdc, 1.1A power for remote PDs over 4 pairs output. It supports not only 10/100/1000Mbps of data speed, but also 2.5GbE/5GbE NBase-T. 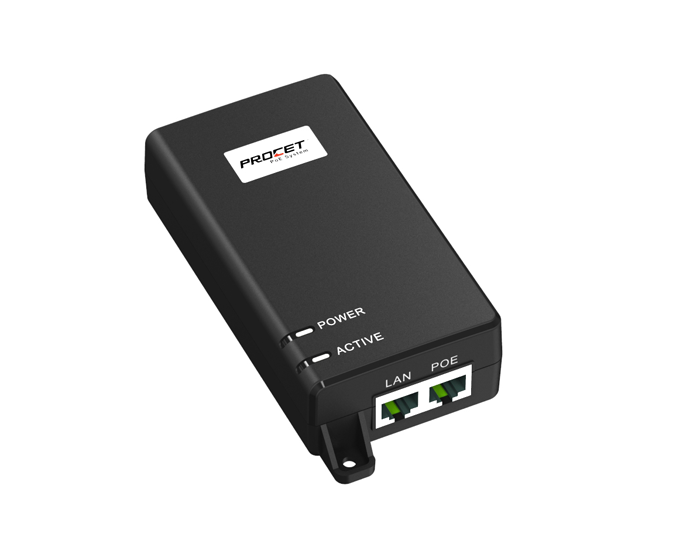 It works for 60W PoE PDs, such as wireless APs, Network cameras, IP Phones and other high power Ethernet terminals. It fully complies to IEEE802.3af/at, PoE++ standard. PT-PSE104GB-60-5 is designed for indoor use. It works with input voltage of 100-240Vac. It has detection chip inside, which will detect and classify PD before powering it. It will not apply power until a standard-compliant PD is detected. The effective distance is 100 meters over Cat5e/Cat6 cables.